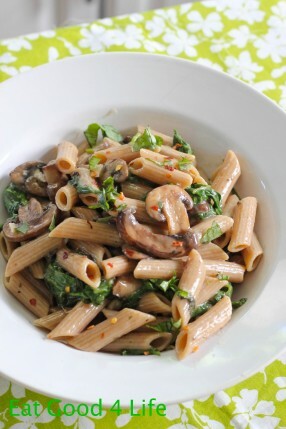 I am in love with this Creamy mushroom and spinach pasta. 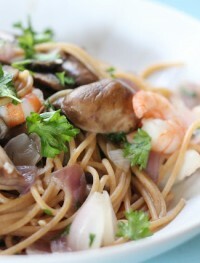 I am really big on pasta dishes as they are super easy and versatile. 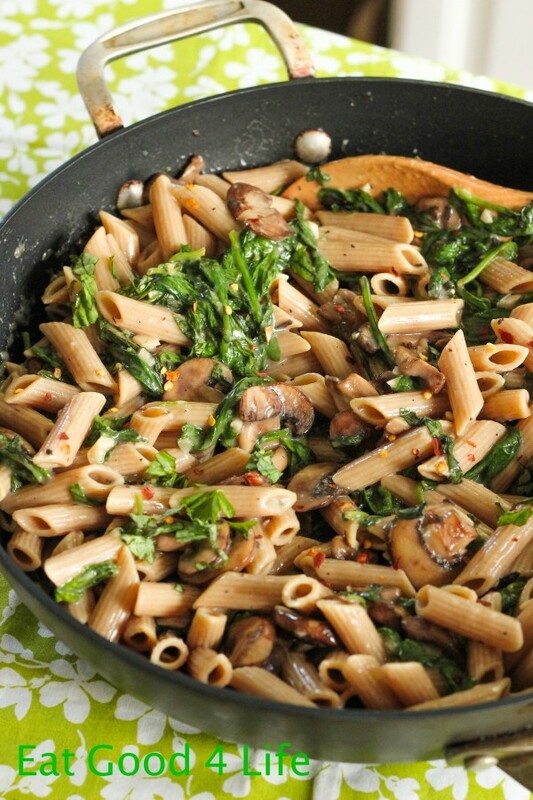 This Creamy mushroom and spinach pasta does not disappoint. 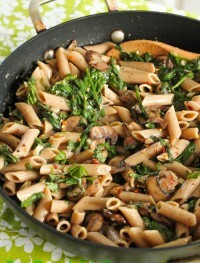 OK my friends, so to break things up I figured I post this Creamy mushroom and spinach pasta recipe. I have been cravings sweets ever since I got back from Spain, so I have been thinking nothing but cookies, cakes, cupcakes and such. I have been doing a few popsicle recipes to break things up as well but I can’t stop thinking about sweets. 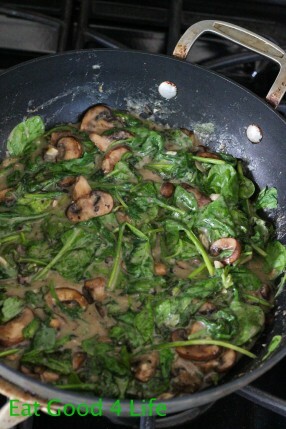 For this recipe I used a specific brand for the creamy mushroom sauce but you can use any other of your choice. I just like the pacific foods brand because many of their products are organic and use natural ingredients, which is what I am all about. If you like you can learn more about their products here. A lot of people shy away from pasta but not me. 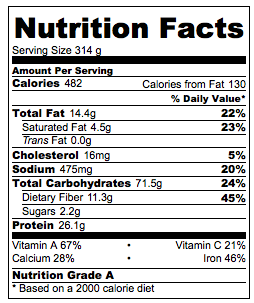 As long as you are eating the whole grain counterparts you should be OK. In actuality carbs should make the bulk of your diet and if not at least 50% percent of total calories should be coming from them. 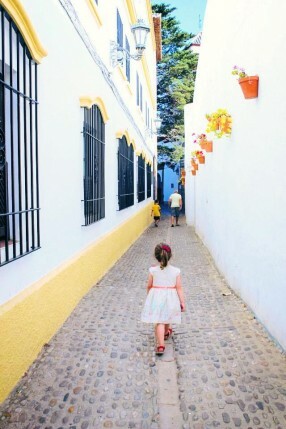 Talking about especial places, I figured I post a few pictures of our trip so that you can see how beautiful Spain is. Have any of you been there before? 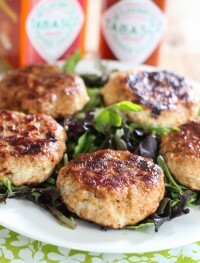 Anyhow, I hope you like the recipe as well as the pictures. On the left picture you can see the sauce with the spinach right before adding the pasta. You can also add pepper flakes for some heat. We love heat so I added some on my plate. 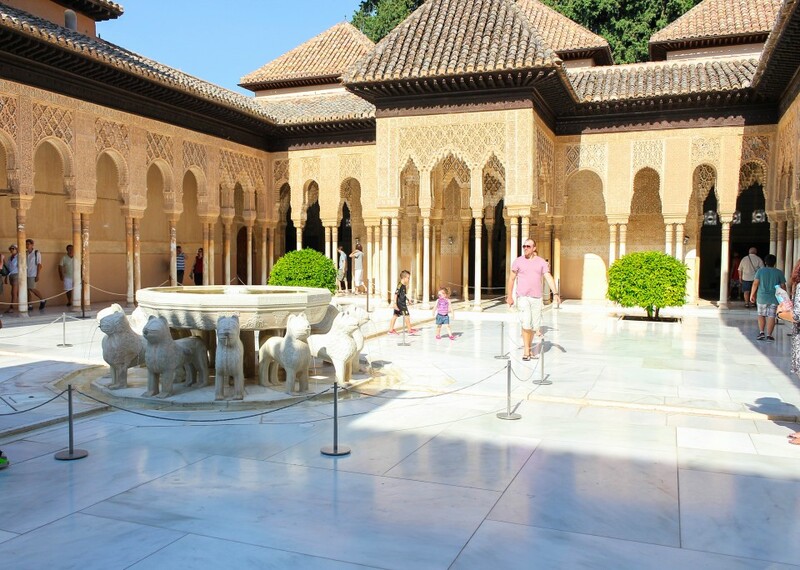 And here you have it, a few of the pictures I took while in Spain. I hope you like them. 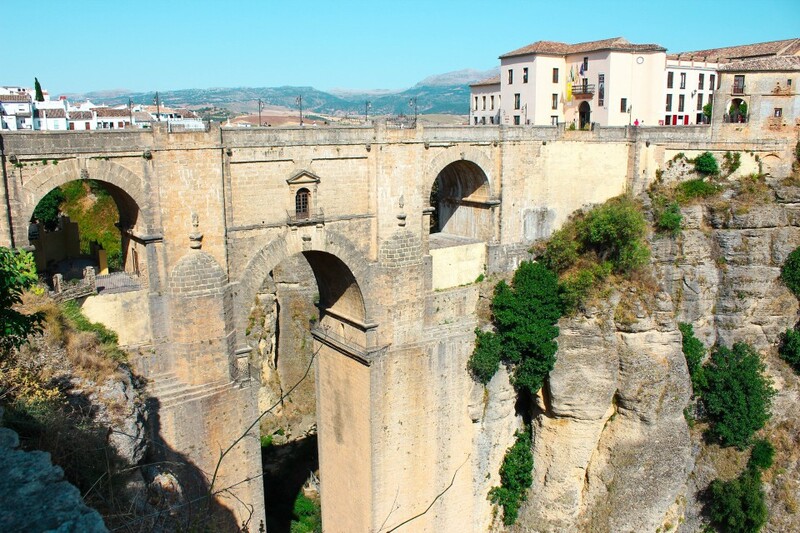 This is the bridge in the town of Ronda which is spectacular to say the least. I just loved this town. 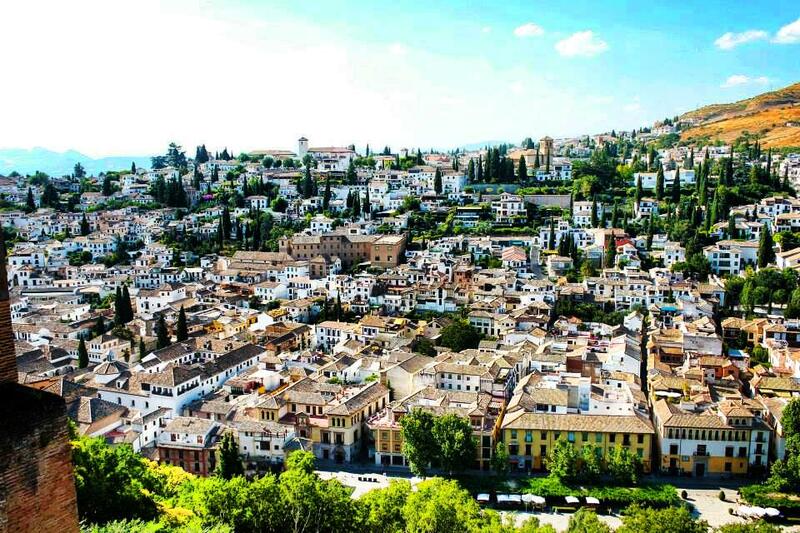 This is the city of Granada, a view from the Alhambra de Granada. 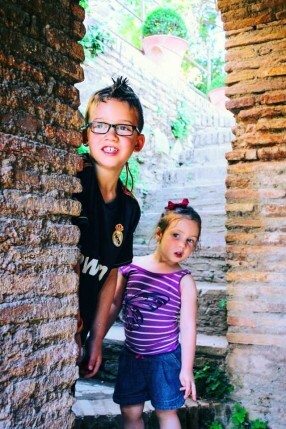 Another spectacular place in South Spain. 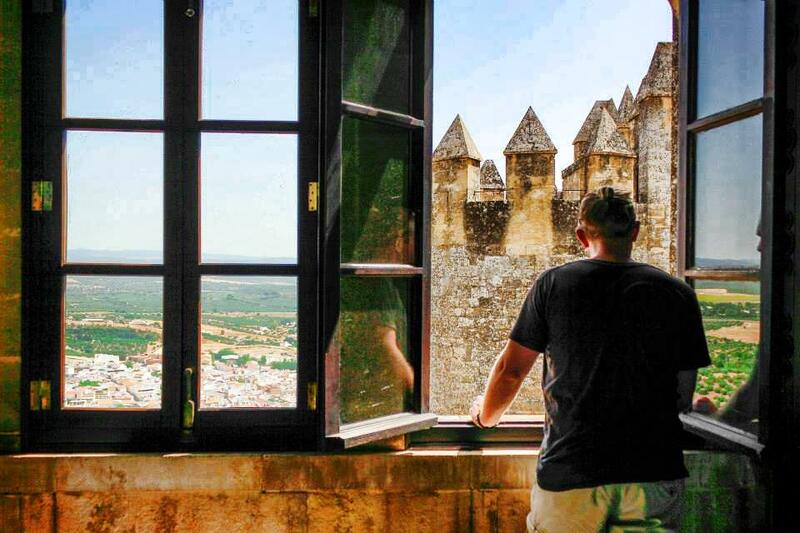 This castle in Almodovar del Castillo, Cordoba was the bomb. When we visited we were pretty much the only people there because it was so hot. Oh well, we enjoyed ourselves there for sure! 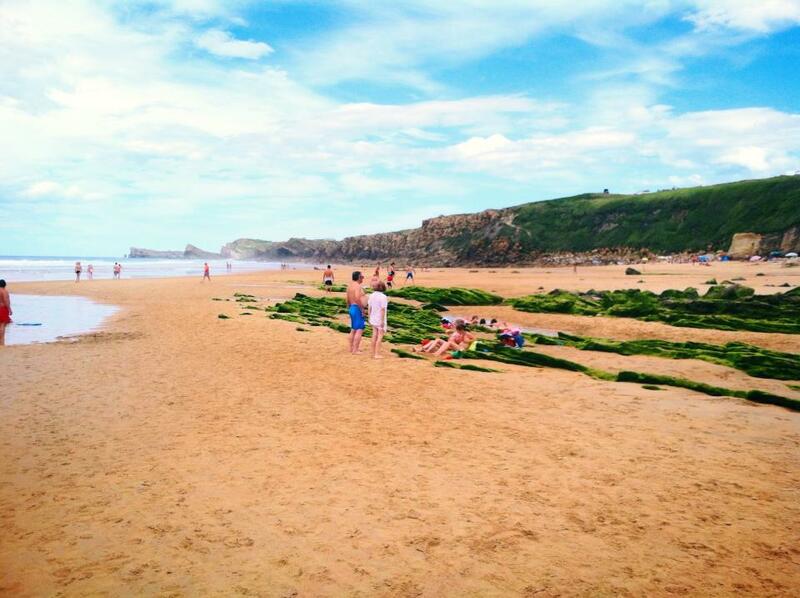 This is just one of the many beaches we visited. 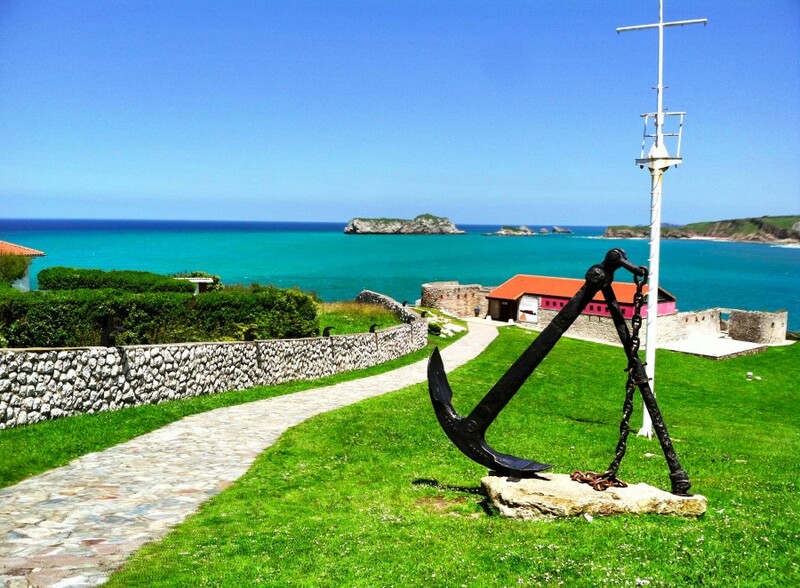 This one is in Liencres, Cantabria, which is North Spain. A bit colder than in the south of Spain but still amazing. 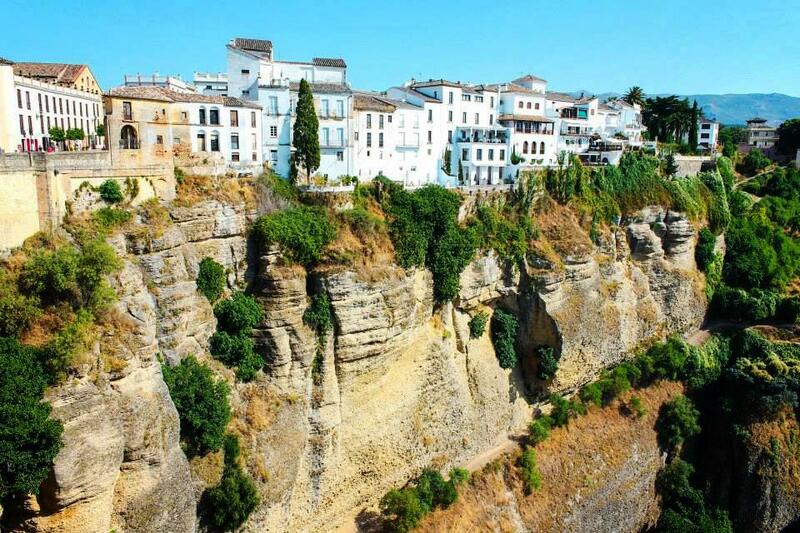 The landscape and topography in Spain is very different from the North and South Spain. The south is dried and hot and the north is very green and cool. This was our favorite beach in the entire trip. 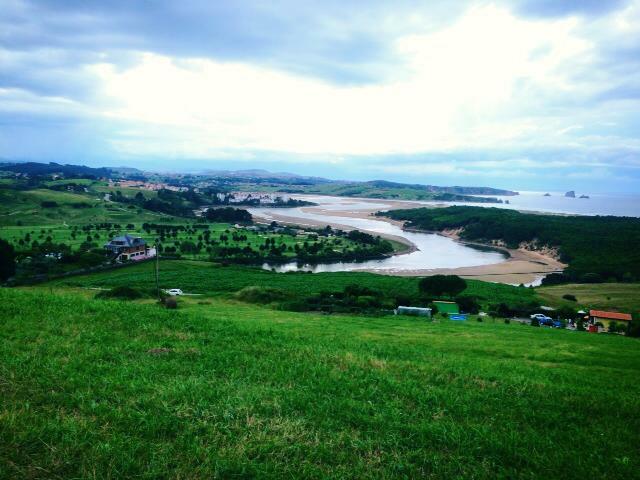 It was in Liencres, Cantabria. It was just paradise. 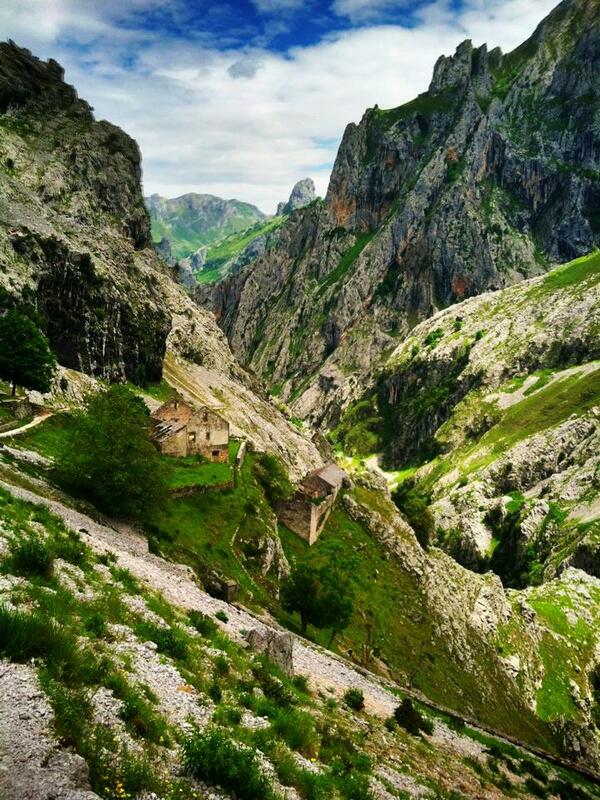 This was in Asturias. 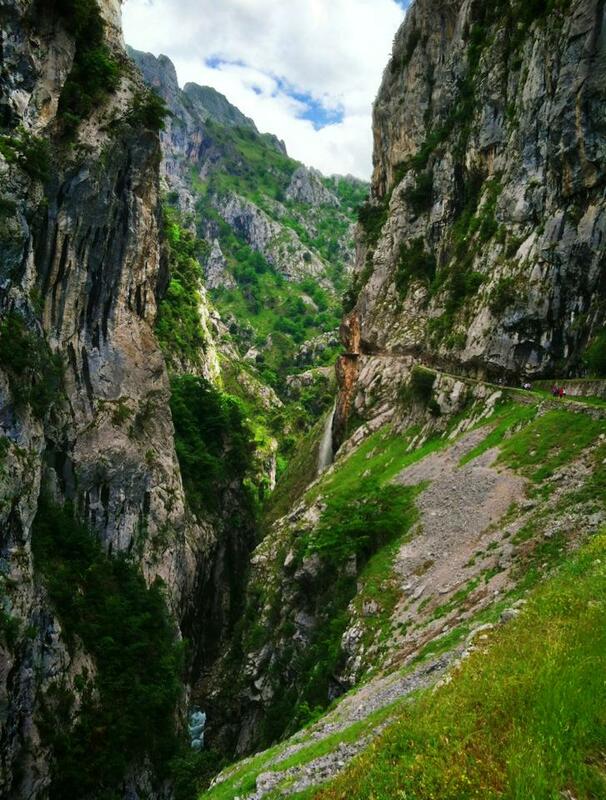 The Cares Hiking Route. It was simply breath taking. It took us about 8 hours to hike but it was worth every minute of it. The cliffs were scary and overwhelming but after a while you got used to them. Just too beautiful. I hope you enjoyed the pictures :-) I will post a few more on my other posts to come. While the pasta is cooking, in a large saute pan, over medium to high heat, heat the olive oil. 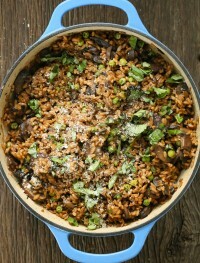 Add the mushrooms and cook until almost soft, 3-5 minutes. Add the garlic and cook further for another minute or so. Add cream of mushroom, Parmesan cheese and stir for a couple of minutes until warm. Turn heat off and add the spinach and combine. The spinach will wilt as you stir the sauce around it. Add salt and pepper to taste and stir in the pasta and any fresh herbs of your choice. Serve while still warm. I also used some pepper flakes. Note: If you like your sauce a bit more runny you can add some pasta water to the sauce. I like it really thick and creamy so I didn't. En casa nos encanta la pasta y esta tiene un aspecto muy rico…con tu permiso me la llevo.